Are you considering Real Estate for a career? Do you want to know the facts about startup education and costs associated with the business? Do you have what it takes to succeed in this highly competitive but very lucrative field? We often get asked these and other questions about the real estate business and because their is so much misinformation on what the real estate business is all about I hope to address and answer the most common questions that you may have and set the record straight on what it takes and what its all about to get started in the Real Estate field. To begin since we believe in keeping things real we will first let you know the bad news, which is this simple fact 8 out of every 10 who start a real estate career, are out of the business within the first 24 months. We should clarify that these 8 out of 10 are people who in fact took the first step and got licensed, yet 80% of these new licensee’s with the best of intentions for a variety of reasons will not make it. For the other 20% that have the perseverance and determination there is a big upside! Now the good news, to those that make it a real estate career is a very exciting business that offers many rewards, below are just a few of the benefits of the real estate business. Empowerment: You set your schedule; you choose your salary, you work where and when you want without punching a time clock or working under the watchful eyes of a supervisor or boss. Less stress: No deadlines (except the self-imposed variety), no boss, no co-workers, no cubicles, no stress. More freedom: Spend time doing what you want. You can go on vacation when you want. You’ll never have to request time off in advance. You set your own daily schedule. More money: Ability to be rewarded according to your own accomplishments, and not limited to what someone else says you should be earning. Although it takes some time a six figure income is very realistic to those that are dedicated and have perseverance. Some of the most successful people come from the ranks of the self-employed and many have made their fortunes in the Real Estate business. Coincidence? We don’t think so. Why should you waste your talents and skills as someone else’s employee while you help make them rich? Wouldn’t you rather be dependent on your self? Be your own boss! Real Estate is fast becoming the new career path for entrepreneurs, downsized business executives, and even freshly minted college graduates. real estate offers opportunities that other professions lack. Real Estate offers serious minded business professionals the opportunity to unleash their natural talents in an environment where they will be rewarded directly for their efforts. In Chicago most real estate professionals operate their business as an independent contractor, which gives them the freedom to make instant decisions on marketing, customer acquisition, customer retention, and service offerings. In the corporate world this is just not possible. The following Q & A will answer most of the initial question’s you may have about starting a real estate career and taking the first step toward independence. Q – Do I need a license to practice real estate? A – Yes, The Department of Financial and Professional Regulation regulates and mandates all real estate salesperson’s and broker’s in the State of Illinois be licensed. Q – How do you get licensed to sell real estate? Q – How long does the real estate licensing class last? A – It depends where you do your course work. Most classes are a few hours a couple of nights per week for eight to twelve weeks. Their are also more intensive courses that can be completed in as little as one week by going 9 to 5 Monday through Friday. On the flip side there are also less intensive courses that can be done via home study and can be completed at your own pace within a maximum of six months. Q – I saw a real estate office offering classes, is it a good idea to sign up there? A -I would suggest an independent real estate school or local college or university. Keep in mind that when a real estate office offers classes they may have the ulterior motive of getting you to hang your license with them, you will be better off to talk to individual offices and brokers after you are licensed as you will be better informed at that point. Q – Do you have any recommendation for Real Estate School’s? Q – When can I take the exam to be licensed? A – As soon as you complete your real estate pre-licensing course work. Q – Will the pre-licensing course teach me how to make money in real estate? A – You will learn the basics of real estate, concepts, contracts, laws, etc it is all very valuable information, but it will not teach you how to make money in the business. It will prepare you to take and pass the state licensing examination, as well as lay a basic foundation for you to build on in the future. Q – Once I obtain my real estate license and go to work for a brokerage is it better to be an employee or an independent contractor? A – There are very few salaried employee positions in real estate sales and the few that are out there pay poorly compared to the earning potential you have as an independent contractor. The vast majority of real estate brokerages hire only independent contractors that work strictly on commissions. Q – Are their any costs to be involved in real estate sales? A – Yes, beyond the cost of the initial coursework and licensing exam, no matter what brokerage you affiliate yourself with you will have to join The National, Illinois and Chicago Association of Realtors as well as be a member of The Multiple Listing Service (MLS) of Northern Illinois. 99% of all real estate brokerages are members of these organizations and as part of their membership agreements it is mandatory that all licensee’s that affiliate with these brokerages join these Associations also. Additionally as an independent contractor you have to view yourself as essentially your own business and as your own business you have to consider marketing and promotion as well as other typical business related expenses. Q – Specifically how much does it cost to join these Associations? A – The following is a breakdown of these Startup costs that you will have to pay after you get your license and become sponsored by a broker. Q – What is the MLS? A – The MLS or Multiple Listing Service is a database that contains all the properties for sale by every real estate company in the 6 county Chicago land area. As an agent when you are representing a real estate buyer you will be able to show your client all properties that meet there needs and be compensated when you find one. When you are representing a real estate seller, by entering their property into the MLS you will be exposing it to thousands of Realtors who have buyers for your listing, 9 out of 10 properties simply sell because of exposure on the MLS, making the MLS a very valuable tool for you. Q – What would I have to do to get paid? A – In its most basic form you market you services to buyers and sellers of real estate. When you assist a buyer or a seller and the transaction closes you get paid. Q – I know real estate agents get paid commissions, but what is the percentage? A – Commission percentage varies across companies. Most companies start beginning agents at a 50% commission split, at our company Ideal Location, Inc. we start new associates at a more favorable 80% split with increases based on production volume quickly moving to 90% . Note: 100% Commission Programs for Chicago Area Agents area also available, and we offer the lowest monthly fees in the Chicago metro area. Chicago and suburban agents please inquire at 312.433.9300 x 12 on how to be sponsored in our programs. Q – How much do you get paid on a typical transaction? A – Lets say you represent a buyer that purchases a $250,000 condo. A typical cooperating commission due to the brokerage would be 2.5% of the purchase price, or $6250.00. As an agent you would receive with our company 80% of that amount or $5,000.00 (with another company you may only receive 50% or $3125). Q – What is the most common misunderstanding about a real estate career? A – No matter what company you affiliate yourself with you will be an independent contractor, which means in essence you are your own business. For your business to be successful you MUST invest in it. The most successful realtors invest in advertising and education, if you have little to invest in terms of money you MUST invest Time. There are things you can do that cost nothing and will yield results, but you must be willing to hit the phones and pound the pavement. Once you start earning money it is critical to reinvest some of your profits back into your business for long term success. Q – Do companies provide leads? 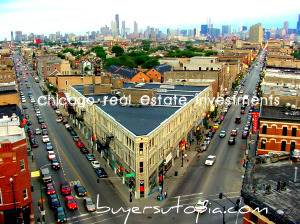 A – Most companies do not provide leads; our company Ideal Location Chicago Real Estate, LLC. does however have a lead program for full time agents. Our top ranked website BuyersUtopia.com generates a steady stream of prospects needing assistance with real estate transactions. Q – How soon can I expect to make some money? A – Ultimately that depends on you, however as an example lets say best case scenario you have a client that wants to buy or sell the day you pass your real estate exam and get sponsored with an office. It may take you 30- 60 days to find the right property for your clients and it may take another 30-60 days for the transaction to close. So best case scenario you are looking 60-120 days before you get paid assuming you do your first transaction within the first month or two.. As a rule it is a good idea to have about 6 months in reserve or a part time job to cover your bills while you are starting in the real estate business. Q – What if I want to do real estate part time will that work? A – You can’t expect big results from only putting in a part time effort, and some real estate companies will not hire part timers due to added expenses. At Ideal Location we will consider part-timers on a case by case basis particularly if they are looking to transition into full time in the future. However for part-timers we cannot provide leads, and how your generate business will be up to your own contacts, sphere of influence and marketing and promotions. Q -I am a real estate investor and just want to do a few deals for my self what are your thoughts on that? A – At our company we encourage real estate investors. For one you have access to all properties for sale as soon as they hit the marketplace so you can fish out good deals for yourself. Beyond that we pay investors a higher commission split of 80% on non- owner occupied deals, and 100% if it is your primary owner occupied residence, these percentages are for both the buy and sell side of a transaction. Even if you only get a license strictly for your own investment purposes it can be very lucrative, and you can make ancillary revenues for referring people you know who will be buying or selling to Ideal Location and earning referral fees. Q – What are some common characteristics of successful real estate practitioners? A – People that are independent workers, that have perseverance, are organized, effective communicators, enjoy people and have a passion for real estate have a very high probability of being successful. 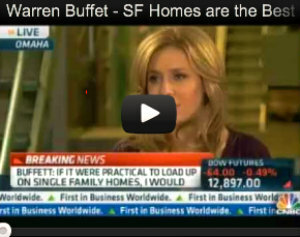 Q- What is the outlook for Real Estate in coming months and years? A – Both the National Association of Builders and the National Association of REALTORS® seem to agree that the market may level off in the coming year, yet neither group predicts a large drop in activity. According to David Lereah, chief economist for the National Association of REALTORS® , the outlook remains positive for real estate investors, homeowners, and agents based on strong demand, low interest rates, and the tax advantages of homeownership. 70% of US households own their own home, a record in the United States. Ths is good news for real estate practitioners of the future who will be working with these homeowners as they upgrade to larger homes, and purchase second or vacation rental homes. Q – Can you tell me more about the direction and benefits of affiliating myself some of the benefits Ideal Location’s?